We are always looking for people who can support our work as volunteers in various ways. The Denis Hurley Centre in Durban is easily accessible by car straight off the N3 and with secure parking beside the Cathedral. It is also close to the major taxi routes. If you have other skills (in administration, fundraising, catering) or you are just not sure what you want to do, email the director raymond@denishurleycentre.org or phone 031 301 2240. 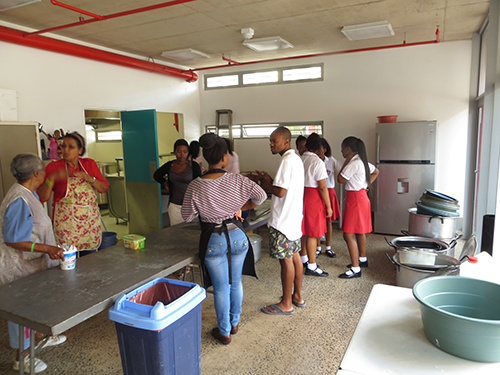 Volunteers from parishes and schools helping prepare lunch for the homeless.